The Drunken Severed Head: The next pat on the head! The next pat on the head! For its generosity to its readers and devotion to daily sharing of pre-code horror comics. For its intelligent but fun use of a fictional persona, theme and setting, and great reviews. For reflecting Erick B. 's wide-ranging tastes in horror, fantasy, and 60s and 70s nostalgia. A site as kind, low-key, and warm as its owner, Erick B. For its erudition on the modern zombie. For making one's childhood traumas come vividly back to life by sharing those of others. 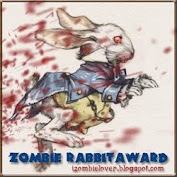 For its dead-ication to macabre and unusual art. 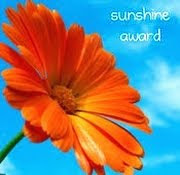 For being righteously wicked and funny. For its readable reviews of trashed and treasured movies. For being a thoughtful but joyous celebrant of the best of the worst in classic sci-fi. 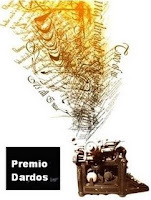 For his constancy as a source of horror-related news and reviews, and devotion to publicizing good horror blogs. 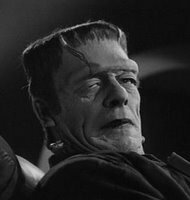 For keeping Shelley's hideous progeny healthy with celebration and scholarship about all things Frankenstein. I had pizza with Abbie Hoffman once. I actually like some folk music, and some show tunes! I have a personal connection to the Central High Crisis, even though it happened before I was born. I once conducted a seance, but was disappointed by it, though others thought it a success. I once made rum cake that people could feel the burn of the rum from as it went down their gullets! I got a brief letter from Ray Bradbury the other day! I had a crush on Julie Newmar when I was a child. 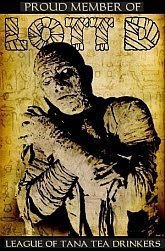 Monster movies and monster toys have been part of my life since I was three! I once played Bela Lugosi in a stage production of Glen or Glenda. I miss a lot of people who live in St. Louis, where I used to live. way to play along Max. personally i'm no fan of chain letters myself but i am a fan of Julie Numar. nice list. WHAT YOU GOT A LETTER FROM BRADBURY! HOW DID YOU PULL THAT OFF? Thats freaking amazing. Thanks for the award Max, I really appreciate it. I'm in good company with those other blogs. Great choices. 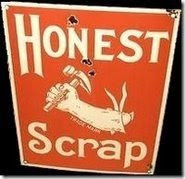 Does anybody know who originally started the Honest Scrap award? "way to play along Max."--wiec? Okay, okay. 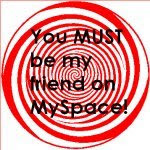 I'll pass on the rules to the other bloggers. I just hate telling other people they gotta do something. I'd make a lousy boss. Nameless Man, Erick: Thanks for commenting. 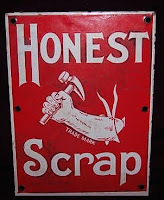 I have been unable to trace an origin for the Honest Scrap, but it apparently started in 2008, the logo is a picture of an old chewing tobacco sign, and the award has been passed around by blogs on several continents. Thanks for making our equally drunk but slightly less severed heads a little bit bigger today. We are honored you thought of us!- Unk & A.J. Thank you, Max. 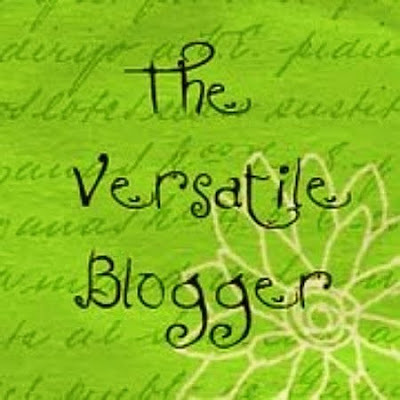 That is one dynamite list of blogs, and I'm genuinely honored to be part of it. 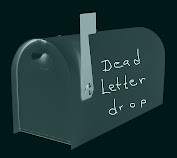 What was the Bradbury letter? A cease and desist notice? "A cease and desist letter?" OH, HAR DE HAR HAR! Au contraire, mon frere! (Is there an equivalent word to "frenemy" in French, Pierre?) No, Ray stopped sending me cease and desist letters years ago. So there. He sent a thank-you note because I sent him a letter and a copy of the latest ish (#3) of SCARLET: The Film Magazine, which had an article on a late mutual friend, artist Linda Miller. Thanks for commenting and giving a reason to plug the mag! The artwork on Linda is just beautiful! Max: Thanks so much for the award. 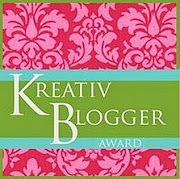 I'm going to re-visit all these fellow-recipient blogs. 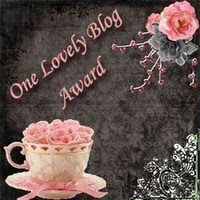 I like your blog as well and . . . stop the presses! You played Bella in a stage production of Glen or Glenda. How damn stupendous is that?! Did you tape it? Damn, is that cool! Did you do the accent? "Pull the strink!?" and "BeVaaare!" I cannot begin to tell you how impressed I am with that. Not only that you played Bela playing God, but that somewhere some troupe was cool enough to do a stage production of Glen or Glenda in the first place. Just massive points on that one. o my god, you ate pizza with abbie hoffman, too! Damn, he said I was the only one! Thanks for the award, but you'll always be ahead of the game, so you richly deserve it. So where the hell's your bio and pic so I can post it!!!! Many many thanks Max... St Louis could seriously use a good severed head like you! I wanna hear more about the seance! Hey, wait a minute... Forget St.Louis. Never mind Abbie Hoffman, Julie Newmar or Bela Lugosi. Seance schmaeance... What I want is a slice of that rum cake! When I was a child, I and the neighbor kids held a secret seance in my house to call up the spirit of my mother, who'd passed on when I was six. We all thought we saw her. Until later when we compared descriptions, and they were all different! As to the rum cake--my first girlfriend outta high school and I made a rum cake with 150 proof rum (75% alcohol) instead of the usual 80 proof and used extra rum. We were lucky we didn't blow up the oven. Neither of us knew anything about alcohol. If ANY of you guys and gals get to Pittsburgh, the cake and a drink are on me. You make the web better than when you found it!